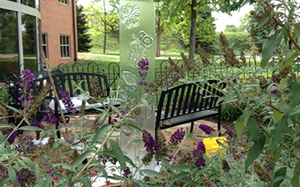 The butterfly garden was made possible through the work of many people in our community. Thanks to the City of Greenwood Parks Department, Gary and Pam Jursik, Brehob Nursery, Darren Wittry of Ambiance Gardens, McCarty Mulch, Tom Horton of Lawn Troops, Kurt Stevens of KB Solutions, Kohl's Volunteers and the Friends of the Greenwood Public Library. 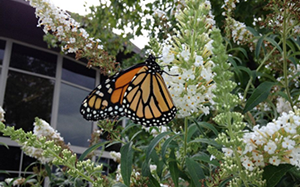 All the plants in our garden are natives of Indiana and attractive to butterflies in some way. Caterpillars eat some, make their cocoons in others and butterflies eat the nectar from many.